Dame Named Redd Designs: 388 - Lookie What I Made! So I took up embroidery because obviously I don't do enough crafts as it is. Here is my very first embroidered doohickey. It's for my Pauly since he's a caffeine addict. 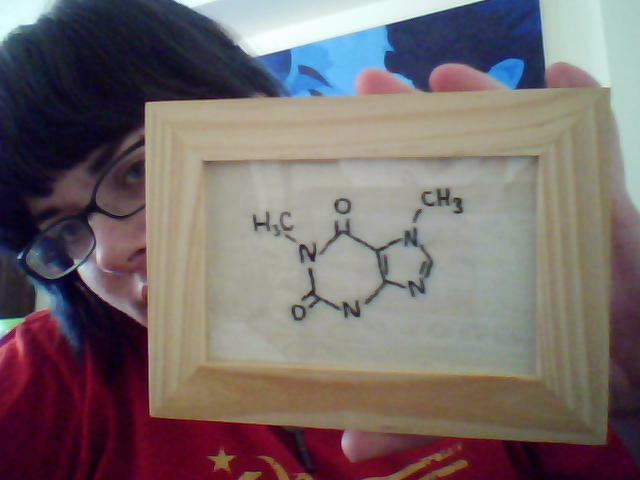 I have sketches of other molecules to make for the shop. What do you guys think?